Bridge is a trusted mortgage lender, who can help you finance your second home or vacation rental. Our experience has led us to innovative 2nd home programs for people seeking to purchase a vacation home or investment property. Why not get a great rate on a 2nd home loan from a lender that has experience financing vacation homes and investment properties? 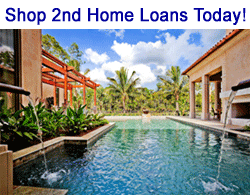 Are you having trouble finding a lender that offers good rates on second home loans? We provide several programs for financing vacation homes and investment properties. 2nd home loan rates have fallen to the lowest point in over 5 years. Get a quote now and compare terms on 2nd home mortgages. Bridge provides the following 2nd home mortgage products with of fixed or adjustable rate payment options: We have been helping people with vacation home loans and credit lines that help them come up with the down-payment for the second home purchase. We are also seeing more and more real estate investors looking for loans on mixed use homes and non-owner occupied financing. 2nd Home Loans to 95% - Preserve your cash-flow. You can finance the cost of buying the house and keep your money in the bank. Whether you need help with financing for vacation homes or investment properties, Bridge Mortgages has the 2nd home lending solutions that you need. Second House Refinancing - Available from 530 credit scores and up, Bridge Mortgages offers people loans 1-Day out of Bankruptcy. If you are a homeowner with equity or willing to put down 10-20%, we can help you finance your second home. 80-20 Combo Loan - You can avoid PMI (private mortgage insurance) and keep your savings in your bank. These 1st & 2nd combo loans offer an 80% first and 20% second mortgage that close concurrently for your home purchase. Individuals interested in making their money work for them are often told that real estate is where it's at. Well it is true that there is a substantial amount of money to be made from smart real estate investments, this is not the type of thing that the average person should do without first understanding the market and the potential problems that they might encounter. Qualification standards for a second home loan can be more strenuous than mortgages on primary residences. Loans for rental properties require an individual to have an excellent credit score and history in order to get favorable terms from their lender. As with a primary property, an individual will have to pay a down payment and cover closing costs and other expenses associated with this type of loan. When it comes to something like a rental property, whether it is residential or commercial, many individuals consider whether or not cash out refinancing their primary property is a good way to come up with the cash necessary to purchase a rental unit. In order to determine whether or not cash out refinancing is the right choice, an individual should take the same steps they would if they were getting any other type of loan. This means carefully taking a look at their credit score and history to make sure that there is no false information or potential problems that could get in the way of a favorable rate. 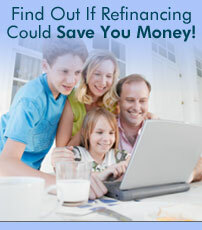 Most experts also agree that rates need to be at around 4.5% or lower in order to make cash out refinancing worth it. Because of the inherent risk involved with any type of investment, whether it is involved with real estate or the stock market, an individual should never put more money at risk than they can afford to lose. The last thing that anybody wants to do is put their own home up for collateral in order to purchase a property only to find that they eventually lose both. In some cases, an individual may actually be able to get a lower rate on a second home loan, although non-owner occupied mortgages often require a much higher down payment that other types of property loans. As with a first time home loan or even refinancing, an individual would be well advised to carefully compare all the different programs that are available in order to find the one that best suits their particular needs and circumstances rather than simply going forward with the first lender that they do business with. Credit impacts many stages of the loan process. It requires that the ordering of a credit report be solely for the purpose of underwriting the loan or other credit or collection purposes. In underwriting the loan, it regulates the manner in which information from consumer reporting agencies is used. The act also has disclosure requirements if a loan request is denied. Lenders are required to retain adverse action disclosure statements for 25 months. Lenders who pass on information in consumer reports, or other information obtained on consumers, to third parties can be inadvertently become consumer reporting agencies. Get Mortgage Refinancing Relief with the HARP 2.0. Fannie Mae and Freddie Mac have eased requirements for many of their second home loan programs. Find out if some of the subprime programs meet your needs for 2nd home financing, even though you may have low credit scores, past bankruptcies or short sales.